Jennifer Hancock has an extensive background in civil litigation. She has tried cases to verdict as second chair and has assisted in obtaining a multi-million dollar verdict against a major product manufacturer. Ms. Hancock has successfully mediated and negotiated and has had many cases with favorable conclusion for clients. She has worked with numerous clients from multiple industries, including commercial and residential construction, maritime, insurance, consulting, and manufacturing. She genuinely enjoys assisting her clients and working with them closely to protect their interests and meet their needs to the greatest extent possible. Ms. Hancock received a Bachelor of Arts degree in 1999 from Virginia Tech in Blacksburg, Virginia. She earned her Juris Doctorate in 2002 from St. Mary’s University School of Law in San Antonio, Texas. She also spent a summer in Innsbruck, Austria studying international law at the St. Mary’s University Institute on World Legal Problems with former Supreme Court Justice Sandra Day O’Connor. 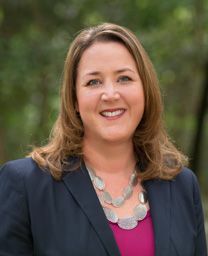 She is a member of the Houston Bar Association, Houston Bar Association Construction Law Section, and the Houston Young Lawyers Association, where she was honored by being selected as a member of the 2005-2006 HYLA Leadership Academy.